Salt Lake City Mayor Jackie Biskupski. 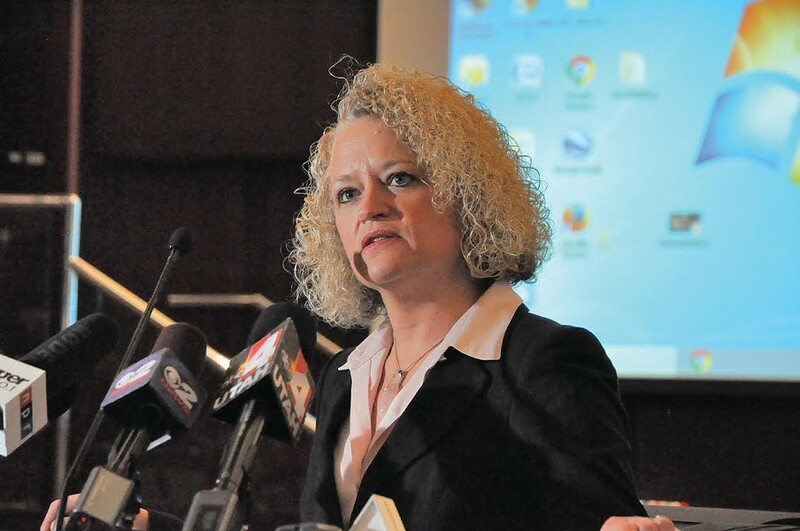 With a drought of political support from the Salt Lake City Council, Mayor Jackie Biskupski on Monday announced that Mike Reberg, the man she had pegged to become the director of the Department of Public Utilities, had withdrawn his name from consideration. Reberg, who had served in various top-level positions at Salt Lake County, was one of Biskupski’s more high-profile appointments in recent weeks as the new mayor took office and began dispatching a number of top-ranking city officials. Reberg, a former assistant director of the county’s Department of Public Works and a division director for former Congressman Jim Matheson, was most recently the director of Salt Lake County Animal Services. While Reberg was praised for his management skills, it was his lack of education and formal experience with waste water, water quality and the city’s watershed—all areas that fall under the Department of Public Utilities—that concerned the city council, which was scheduled to vote Tuesday on Reberg’s appointment. City Council Chairman James Rogers, who represents District 1, said that the appointment of Reberg was akin to naming a person who had never worked at a fire department as the city’s fire chief. Reberg was to replace Jeff Niermeyer, who had worked at public utilities for 25 years, the last nine of which as the director. Rogers says he believes his colleagues on the council were united in their opposition to making Reberg the head of the department. In 2014, the department employed 393 people and generated $96.2 million in operating revenue. Since taking office, Biskupski, a former state legislator whose most recent job was with the Salt Lake County Sheriff’s Department, has drawn from her county connections to fill high-ranking slots on her staff as well as to take the reins of entire departments. While some of the vacancies at the city stem from Biskupski’s insistence prior to taking office that around 30 of the city’s top-level appointed leaders tender letters of resignation, the mayor’s spokesman said that Niermeyer left the city in-step with the mayor taking over. Over the past two weeks, Biskupski has “accepted” some of these letters of resignation, including one from veteran Public Services director Rick Graham, who had worked for the department for 35 years and served as director for 19 years. D.J. Baxter, the executive director of the Redevelopment Agency, was also sent packing. In addition to the post that Reberg was to take over, the city council will eventually get to weigh in on other top-level appointments.